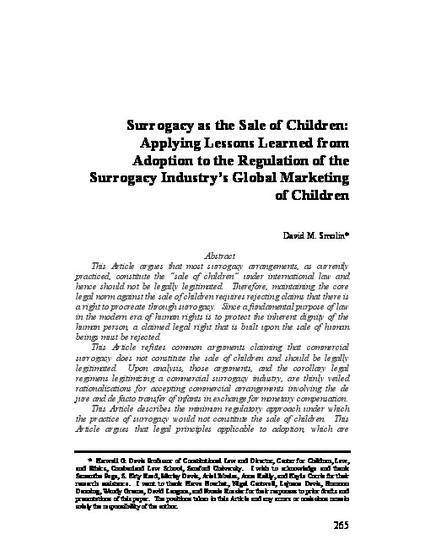 This article will argue that most surrogacy arrangements as currently practiced do constitute the “sale of children” under international law, and hence should not be legally legitimated. Hence, maintaining the core legal norm against the sale of children requires rejecting currently constituted claims of a right to procreate through surrogacy. Given the underlying purpose of all human rights law in maintaining the inherent human dignity of all human beings, a claimed legal right built upon the sale of human beings must be rejected.